THE 2011 census revealed that 32,400 people living in Northern Ireland belonged to ethnic minority groups – an upward trend which has developed since the end of large scale violence. This equates to 1.8% of our total population – more than double the proportion in 2001. The latest census also showed there is no longer a majority population in Northern Ireland in terms of national identity. Just under 40% of the population described themselves as only British and 25% as solely Irish. It is against this backdrop of increasing cultural diversity that we have examined the issue of newcomer pupils in Northern Ireland’s schools. Newcomer children are pupils who do not have the necessary language skills to participate fully in the school curriculum and do not have a language in common with their teacher. Using Freedom of Information legislation, we requested a breakdown of the number of newcomer pupils attending every school in Northern Ireland. The Department of Education sent us 2012/13 school census data for 1,549 schools in the primary, post-primary, nursery and pre-school sectors. See our interactive map above to explore the data for your local schools. Patrick Yu, executive director of the Northern Ireland Council for Ethnic Minorities, said it is crucial that money allocated to schools for newcomer pupils is ring-fenced. And he also stressed that minority groups have a role to play in dealing with the legacy of Northern Ireland’s past. The new figures show that the number of schoolchildren without English as their first language increased more than seven-fold in Northern Ireland between 2001/02 and 2012/13. In 2001/02 there were 1,366 newcomer children in NI’s schools – 0.5% of the total school population. At that time they were called ‘English as an Additional Language’ pupils. The data for the 2012/13 school year, shows the newcomer pupils increasing to 9,656 – 3% of the total number of pupils. This ranges from 1.7% of pupils in post-primaries to 5.5% of our nursery pupils. 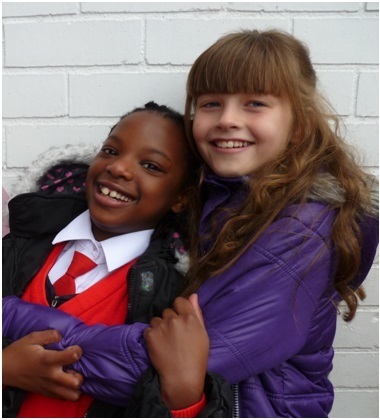 Over 67% of the newcomer pupils in the last academic year were based in primary schools. Leaving aside a small pre-school in Dungannon, Presentation Primary in Craigavon had the highest percentage of newcomer pupils on its rolls at 69%. At this Catholic maintained school 155 of the 224 pupils last year did not have English as their first language. This was followed by St Patrick’s Primary in Dungannon where 58% of the 783 pupils were newcomers. At Botanic Primary in Belfast 93 of the school’s 202 pupils (46%) had English as their second language. St Patrick’s College on Killymeal Road in Dungannon and Drumcree College in Portadown both had the highest percentage of newcomer pupils among schools in the post-primary sector at 30%. They were followed by St Joseph’s College on Belfast’s Ravenhill Road where 22% (120) of the 538 pupils had a first language other than English. Three hundred and ninety-five schools had less than five newcomer pupils. The Department of Education does not give the exact number for these schools to prevent identification of individual children. A total of 761 schools had no newcomer pupils on their rolls – 418 primaries, 271 pre-schools, 44 post-primaries and 28 nurseries. The 393 schools with newcomer pupils we have exact figures for (schools with more than five newcomer pupils) educated 8,818 of the total 9,656 newcomer children. Within this group, 59% attended Catholic maintained schools, 29% were pupils at controlled schools and 7% attended integrated schools. Yvonne Mulholland is principal of Presentation Primary in Portadown which has been welcoming newcomer children into its classrooms for the past 10 years. The school’s enrolment has grown from 60 pupils including seven newcomer pupils in 2003 to a current school population of 250 children of which 150 are newcomers. 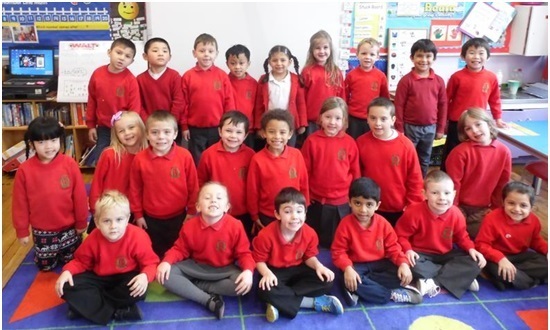 Miss Mulholland said: “I feel that the newcomer children have brought a special quality to our school and have made it a diverse and culturally rich community. The principal said that having newcomer children is now a normal part of school life. “It was difficult in the early days as there were no advisors from the education boards in 2003,” she said. “We were all learning together and through trial and error we have found what works for our pupils so they can achieve high standards in all aspects of school life. “We have adapted our staffing and employed classroom assistants in every year group, many of which have English as their second language and are able to help children settle into school life and help parents understand what we are striving to achieve. “We find that newcomer children have at times outperformed their Northern Irish counterparts in assessments. This has meant pupils have an added stimulus to keep striving to be the best they can be as they see children who have English as their second language achieve so much and they want to achieve also. “Parents have seen the achievements of newcomer pupils and feel if these children can achieve so much they have faith in our school to produce high standards for the Northern Irish pupils. Paul Bell is principal of Botanic Primary in Belfast. 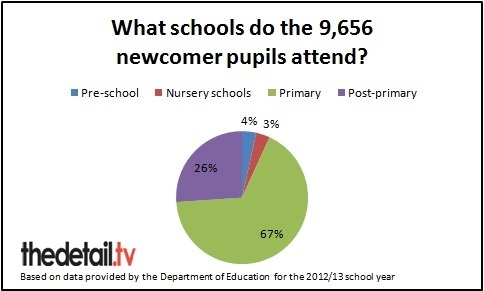 The school census for the 2012/13 school year shows that 46% of the 202 pupils in this school were newcomers. The school’s development plan states “Botanic Primary is renowned as a multi-cultural school and has traditionally accepted children from all communities. A proportion of our intake comprises children of foreign nationals who are studying or lecturing at Queen’s University. Mr Bell said: “These are not mere words. We do indeed welcome newcomer children and acknowledge the part they have to play in the ethos of our school which includes acceptance. The principal said the mix of cultures is a “mutually enriching experience” for all of his pupils. His staff work hard to ensure each child’s educational needs are catered for and this was recognised when the school recently won a Belfast Telegraph Making The Difference award. Mr Bell admits that it is difficult to teach children whose first language is not English. He continued: “However, we are incredibly fortunate to have on the staff Mr Vijay Tandon who was recently awarded the MBE for Services to Education. “Mr Tandon works alongside the staff – several of whom are experts themselves now in teaching English and nurturing and mentoring teachers who have less experience. Mr Bell said that the school’s newcomer pupils encourage others to think about diversity in a whole new way. The principal said his personal view was that there should be a single schooling system in Northern Ireland which could follow a joint syllabus for religious education which has already been agreed by the main churches. The Northern Ireland Council for Ethnic Minorities (NICEM) is an independent non-governmental organisation which represents the views and interests of black and minority ethnic communities. Patrick Yu is NICEM’s executive director. He said it is crucial that money allocated to schools for newcomer pupils is ring-fenced. And he claimed that budget allocations currently rely on “out-of-date census data from the previous year”. He said this does not take into consideration the arrival of, for example, asylum seeking children who arrive after the census has been conducted later in the academic year. Mr Yu said: “There is additional money for schools with newcomer pupils to support their English proficiency through, for example, an additional teaching assistant but this money is never ring-fenced. We asked Mr Yu if people in Northern Ireland are now starting to think beyond the two traditional communities. He continued: “The past conflict in Northern Ireland does also have an impact on minority groups living here. We are all affected but politicians only see the two communities that they represent. “Take for, an example, the racketeering by both sides of the paramilitary groups during the trouble which affected ethnic minority businesses last year and the many racist attacks over the last 10 years. Click here to read The Detail’s April 2013 article on racist attacks in Northern Ireland. Education Minister John O’Dowd said that his department’s policy – Every School a Good School – Supporting Newcomer Pupils – is designed to create a framework to welcome and value newcomer pupils and to ensure they have access to the full curriculum. The Minister continued: “The Common Funding Scheme, which funds schools, also targets support to schools teaching newcomer children. In 2012/13 the support stood at over £8 million. “Furthermore, my Department also provides an additional £900k earmarked funding to support newcomer pupils. “This funding helps support the Inclusion and Diversity Service, which provides support and capacity building training to all grant-aided schools and special schools for newcomer pupils. The service is responsible for assessing priorities, monitoring and responding to areas of need.